A precise-fitting, no-hole approach to belts that’s been developed over almost a decade. 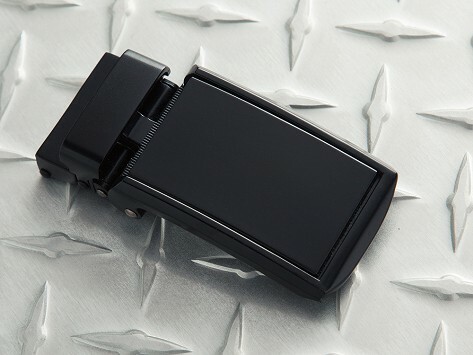 This interchangeable, low-profile buckle has a dual-lever ratchet that smoothly adjusts any SlideBelt belt in 0.25” increments, letting it fit perfectly. There’s even a built-in bottle opener. Belt sold separately. Great buckle. 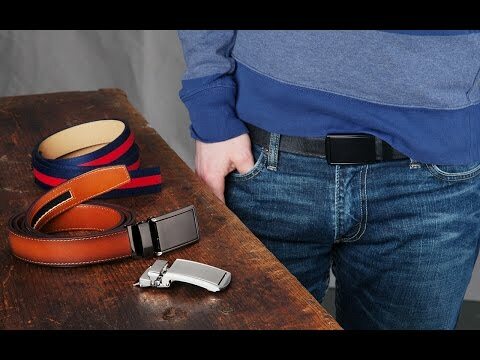 Never need to punch holes in belt again. Releases with a finger touch. Will get a few more of these. Great buckle. Easy to adjust to fit. Bought one and liked it so much I sent for a second one.